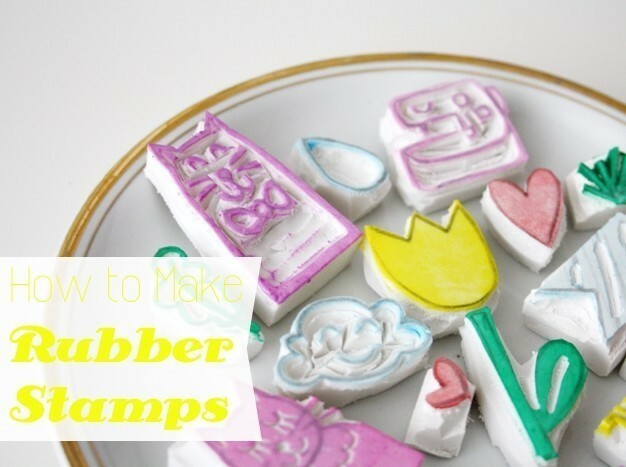 Making stamps yourself is super easy and you can grow your own collection of stamps for various occasions. 1. 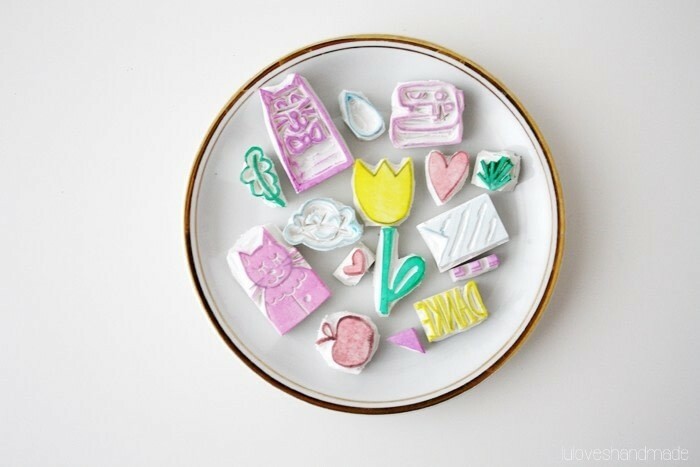 Draw your motif onto an eraser. 2. + 3. 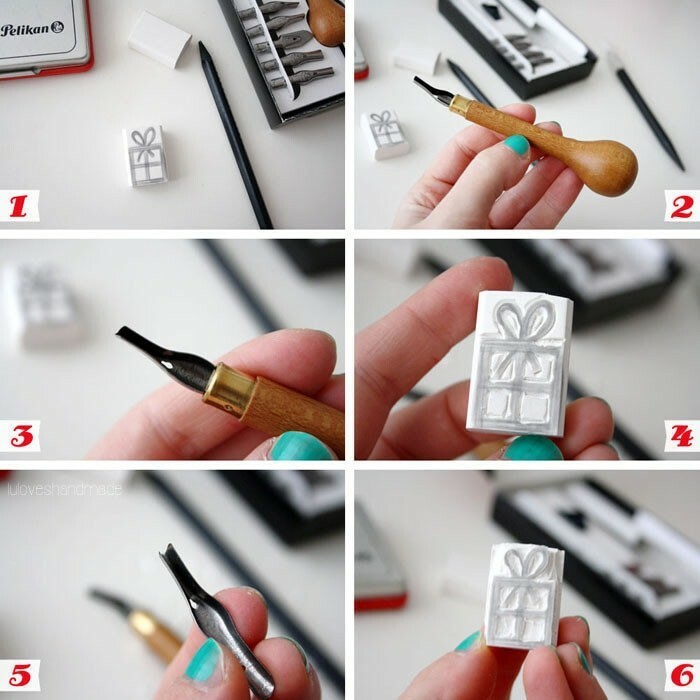 Choose the cutter with a small width. 4. Use it to cut out the outlines. 5. Choose a cutter with a bigger width. 6. Use it to cut out the areas between the pencil lines. Try out your stamp and see of there's anything you want to correct.